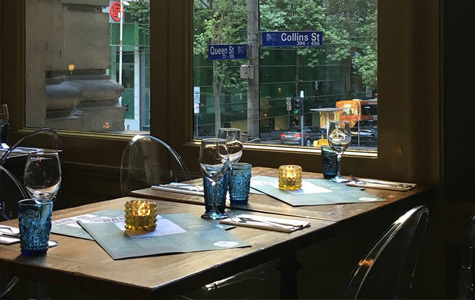 Treasury on Collins is one of the few independent boutique hotels in Melbourne. We are not tied to any chain and that means we do things differently, borne from the freedom to make good ideas happen. 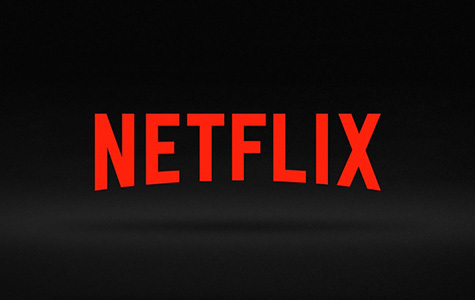 We offer free Netflix in every room, free unlimited high-speed WiFi and a beautiful guest lounge with complimentary refreshments. 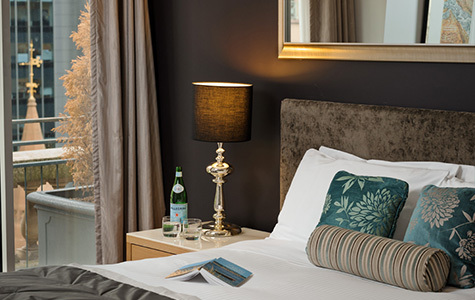 As an added bonus for guests who book directly with us, we offer complimentary breakfast and afternoon wine down 7 days a week. The modern refurbished apartment-style suites are housed within a magnificent heritage listed building located on the corner of Collins & Queen Streets, with all the best of Melbourne’s charm right outside the door. Experience the grandeur of Treasury on Collins with a choice of spacious suites and apartments that seamlessly blend old-world elegance with contemporary style. Standard features include Netflix, well-appointed kitchenette, washing machine/dryer and spacious living area. 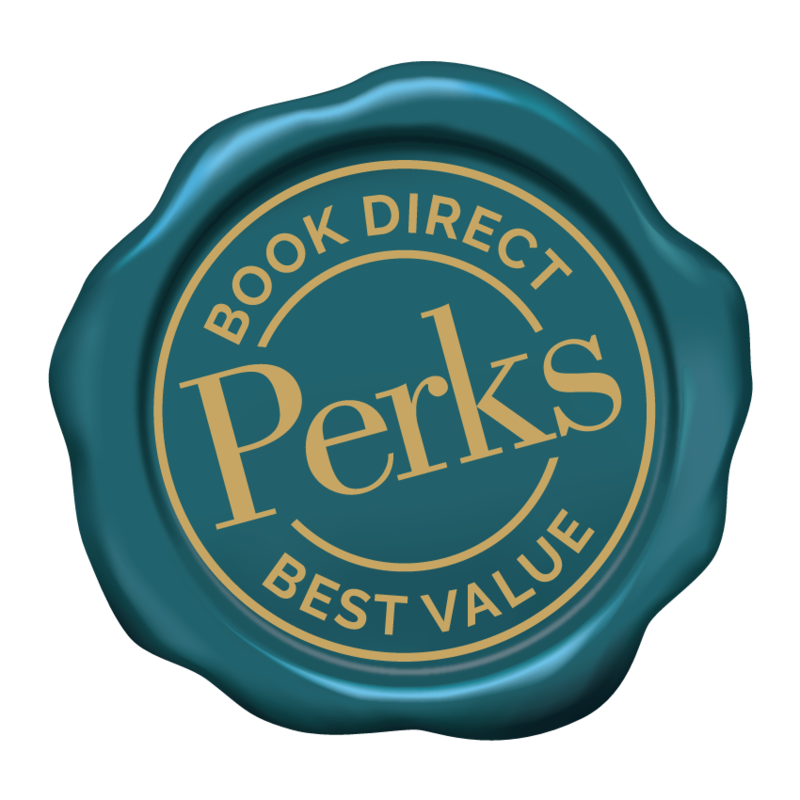 We like to reward direct customers with the BEST VALUE such as exclusive offers, upgrades and discounts. If you book directly with us by phone, email or on this website then you're guaranteed the lowest rate, FREE breakfast and more PERKS . The ground floor of the building has been transformed into ‘The Bank on Collins’, a modern restaurant and bar offering an exciting new dining experience within the glorious heritage listed building. The heritage listed building was first established as The Bank of Australasia in 1876 and is of architectural significance as an example of conservative Renaissance Revival design. The magnificent exterior hints at what lies within. Enter the building to be amazed by the huge vaulted foyer with no less than 9 grand chandeliers. 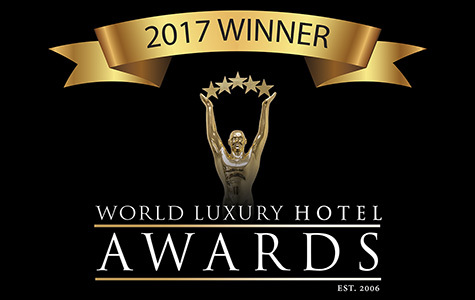 The annual 2017 World Luxury Hotel Awards was held on the 2nd December in St Moritz, Switzerland where Treasury on Collins in Melbourne was announced as the winner of the Best Luxury City Hotel – Australia. 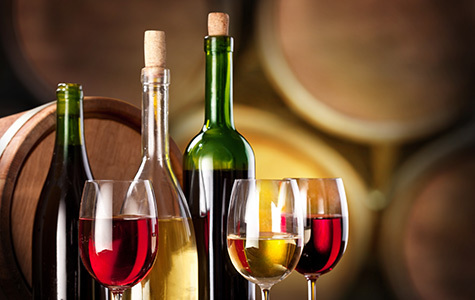 Guests are invited to enjoy a daily glass of wine on the mezzanine with our compliments at Afternoon Wine Down from 4 pm to 6 pm. Guests who book directly on this website will also receive a top-up. 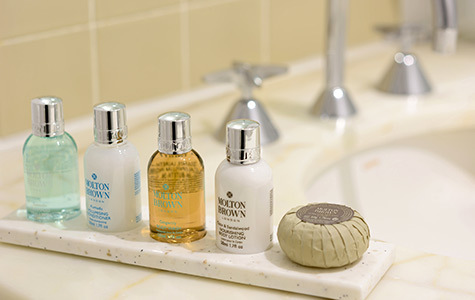 They are also a proud holder of a royal warrant for the supply of toiletries to her Majesty Queen Elizabeth II. The Treasured Guest Lounge on the mezzanine level encircles the vaulted foyer and is a beautiful ambient area for all guests to relax and enjoy. Make the most of the daily complimentary tea, coffee, water and snacks from 10.00am to 7.00pm. Guests who book directly with hotel are invited to enjoy a complimentary breakfast on the Mezzanine from 6.30 to 10.00am. 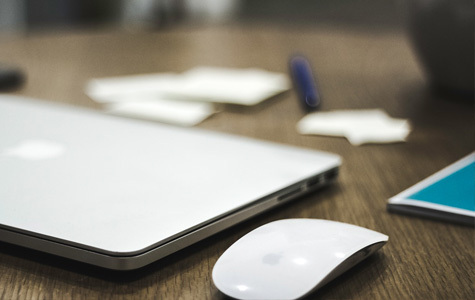 You can also stay connected with complimentary internet and use of computers. Enjoy unlimited movies and TV series with the simple press of a button on a large 40″ or 50″ Netflix enabled television. Stay connected at Treasury on Collins with free Wi-Fi internet in all rooms, and public areas. The lightening-fast business-grade Wi-Fi has been independently tested and found to be the fastest hotel Wi-Fi in Melbourne, by a wide margin. All guests have 24/7 access to free Wi-Fi so you’ll never be charged, no matter how much you use – no speed limits, no data limits, no time restrictions, and multiple devices can connect simultaneously. The fitness centre, located on the ground floor of the Plaza Building, is open 24 hours per day for guests. 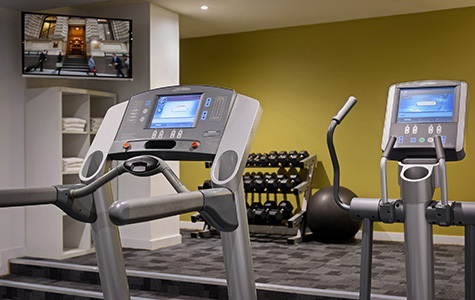 The fitness centre is equipped with a treadmill, elliptical trainer, stationery bikes, fit ball and set of dumbbells.